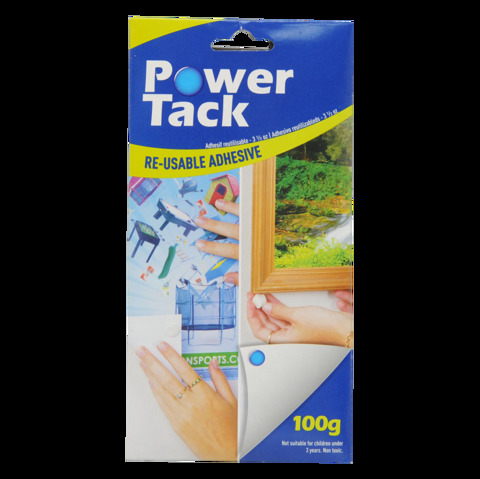 Power Tack 100G. 16cm x 9cm x 7mm Approx. Beige Colour. Calcium Carbonate | Rubber. 100G Packaging: Printed Paper Pouch.